Get a group of your friends together and choose your own adventure! Pick the Breweries that you want to go to in Burlington, Champlain Valley, Chittenden County, or anywhere in Vermont! We can customize your brewery tour to meet your desires! Oh, and by the way, do you want to tour breweries outside of Vermont? We do that too! Have you ever been looking for fun activities to do with your friends, or wanted to treat your partner to a unique birthday gift or needed to arrange a bachelor party or had clients coming to town and all they have been talking about is tasting the great craft beers of Vermont? Well, look no further! Best in VT Tours & Charter is a Vermont tour and charter company that provides transportation services and private rentals for such special events. If you decide to go on a craft brewery tour, why drive, why Uber or why would you want your group to be shuttled around in different taxis? Rent our chauffeured tour bus service to experience the best brewery tour service in Burlington! Our BrewHop Brewery tour begins wherever it is most convenient for you. If your group wants to be picked up at a central venue like downtown Burlington, we can do that; alternatively, we encourage responsible driving, so our preference is to pick you up and drop you off AT HOME and we can head off on an adventure to taste the best beers from the best breweries in Vermont. Struggling to come up with an itinerary, unsure of what breweries to go to or how long to spend at each brewery or other fun things to do? Don't stress out - we've got you covered! We will handle all of that event planning for you. We are not just focused on Burlington Breweries ... if you so desire, rent our shuttle service to tour other breweries in the Champlain Valley, Chittenden County or beyond, like in Stowe, Waterbury, St. Albans, etc. Enjoy Burlington's most fun limousine & shuttle rental service! Two Vermont guys and a dream equals the Green Mountains' newest veteran owned craft brewery. 1st Republic in Essex Junction, VT also has the distinction of being Vermont's best place to get homebrew supplies and learn about the art of homebrewing. 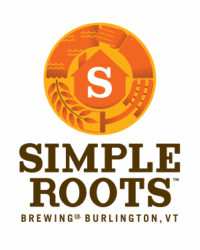 Burlington Beer Company is located in Williston, VT: where fermentation meets imagination and exceeds your expectations! One of their tag lines is "We strive to find balance between going too far and staying rooted in tradition" ... this tells you everything you need to know about their beers. This nano-brewery in Winooski, VT boasts big character in a small garage; it was the first brewery in VT to introduce us to the crowler – a 32 oz. can custom filled with your favorite beers on tap, sealed in front of you to be opened in the future (if it makes it that long). A newcomer to our crazy craft beer scene, this brewery in the North End of Burlington has tap handles popping up in all the Best bars and restaurants in Burlington and Vermont! Popular beers include Kara's Kolsch,American Dream and Vanilla Hearthside.